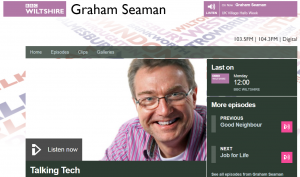 UTC Swindon has had a second mention on local radio station BBC Wiltshire this week in the Wiltshire’s ‘World of Tech’ feature. In the feature the UTC was given credit for its new Digital Technologies specialism on the show. He described the new specialism as a “huge story” with “great implications for young people who live in Swindon but also for the businesses”. 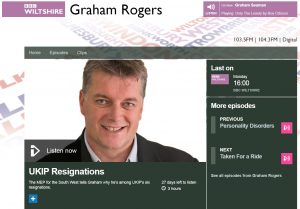 UTC Swindon featured on local radio station, BBC Wiltshire on the Graham Rogers Show. The feature was a radio interview with UTC Swindon’s Business Relations Manager, Mike Halliday, about the recent involvement from the BMW Group who provide Engineers from the Swindon Mini Plant to mentor students as part of the Duke of York Scheme. Siemens visited 24 Year 10 students to deliver a talk on the engineering behind train signals. They discussed how sensors send messages to inform when the tracks are busy and in turn set off the track’s ‘traffic lights’. The students were then asked to replicate this in a series of challenges using raspberry pis, and python. The students were really engaged and thrived at the chance of a hands-on challenge. 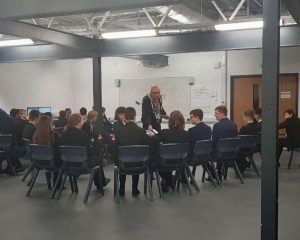 Siemens also talked to them about the apprenticeship programmes they offer, talking them through the role they would have within the company and discussing how to apply. 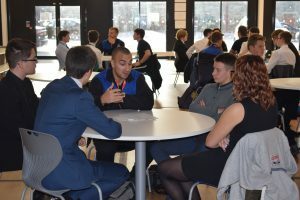 On 9 January, the Fantastic Futures Programme launched to Year 10 students, following its launch to Year 11 students before the Christmas break. The project is run by Villiers Park Educational Trust and is founded by Study Higher. The programme provides students with a personal mentor who works with them on a one to one bases, as well as small group sessions, until Easter 2018, giving them support and developing key life and learning skills for success. The students are going on a residential trip during the Easter Break to Oxford University. They will then run a school project to share the skills they have learnt with other students. Representatives from Network Rail delivered a presentation to Year 10 and 11 students around rail safety and electrification. 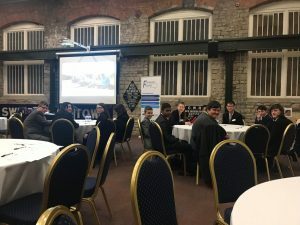 The students were shown a video produced by Network Rail that gives an account of the effects of trespass, suicide and electrification from the view of workers. This included a Mobile Operating Manager, a driver and a British Transport Police Officer, which gave a powerful message and also gave students an insight into how one action can affect so many people. 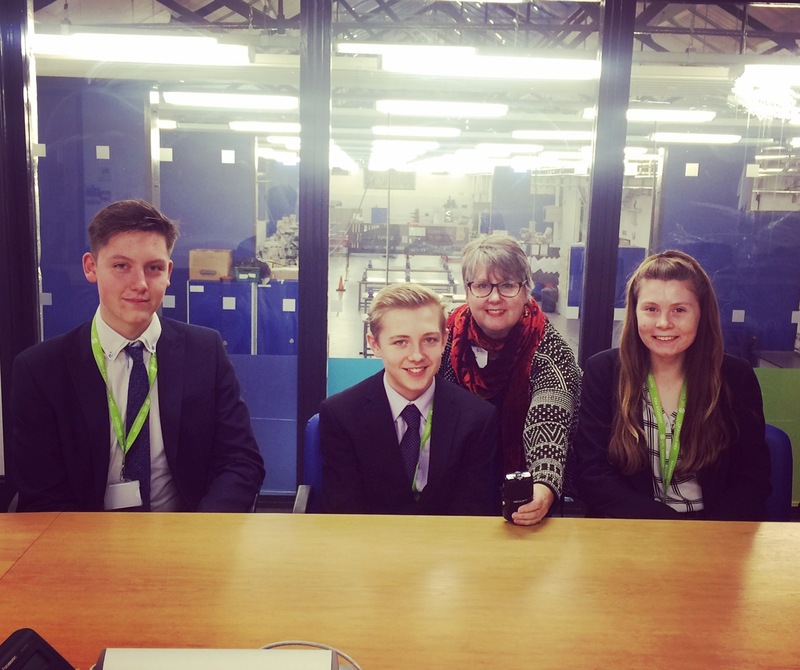 Jo Garton, presenter at Swindon 105.5 came in to the UTC earlier this month to speak to three current students and Principal, Jon Oliver about life at the UTC. The School’s Out programme runs weekdays 4-5pm, Mondays to Thursdays and includes features about schools, colleges and young people’s interests. 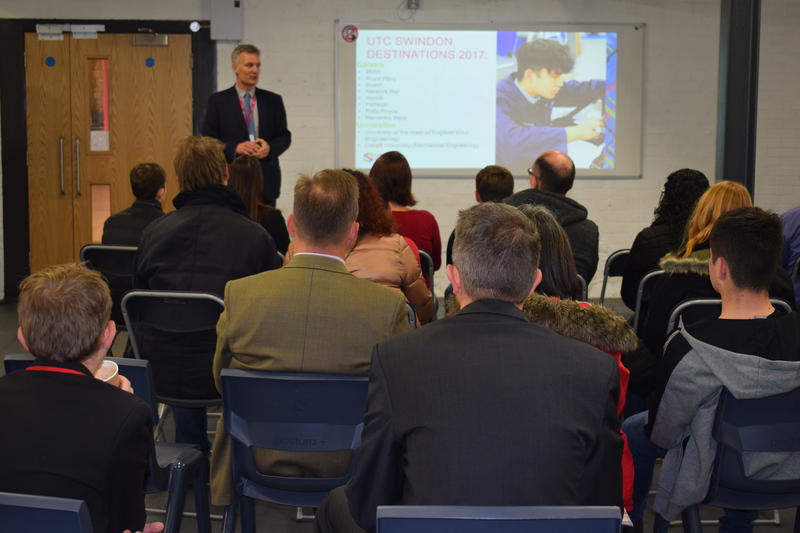 The UTC Swindon feature begins with Principal Jon Oliver (from 4:31 – 18:24 mins) who talks about what drew him to working at the UTC, what’s different about UTCs in comparison to other schools and looking forward to the future. 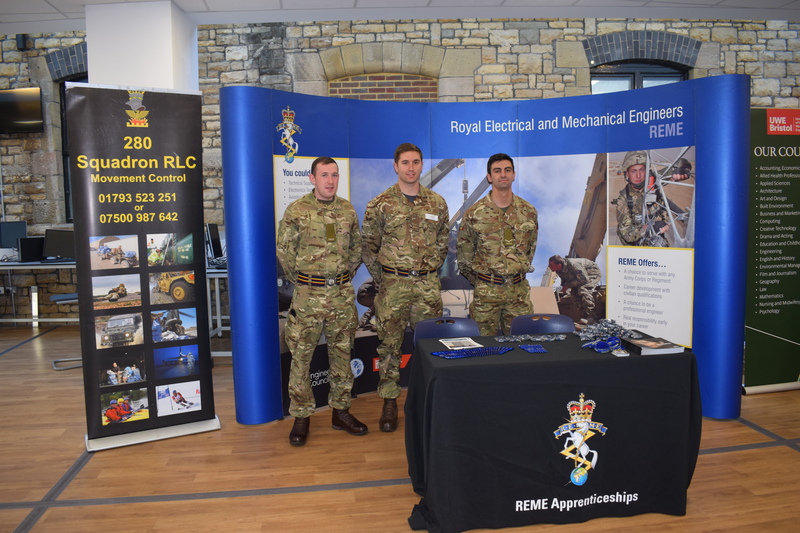 On Thursday 23 November, twenty-four leading industry employers and educational providers attended UTC Swindon’s Careers Convention. Throughout the day, a variety of talks were given to students; discussing areas such as CV writing, apprenticeship applications and interview skills. 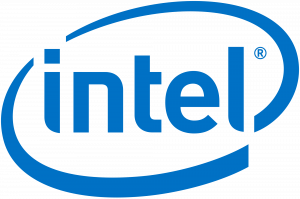 Last month, representatives from Intel visited Year 13 students for their first session on Social Media. Today’s second session focused on Presentation Skills. It consisted of two parts; in the first section, the three speakers demonstrated the key aspects that make up a good presentation and got the students involved by asking who they thought demonstrated good presenting skills. The second part was more interactive with the students breaking out into groups of 4 or 5 to present for 5 minutes to the other members of their group on a subject of their choice. Many Year 10 and 12 prospective students and their families attended the event to tour the fantastic facilities and talk to dedicated members of staff. Current students were leading insightful tours of the UTC, discussing how they’ve benefited from the learning style and what careers they hope to progress into. UTC Swindon and Villiers Park Educational Trust teamed up to bring students The Fantastic Futures Programme. 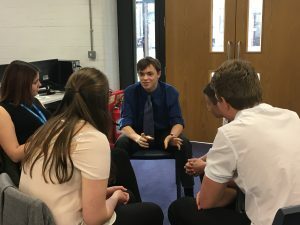 The programme, funded by Study Higher, provides students with a personal mentor, in one-to-one sessions, as well as in a small group, giving them support and developing key life and learning skills for success; to improve exam outcomes and to prepare them for transition to post-16 education. 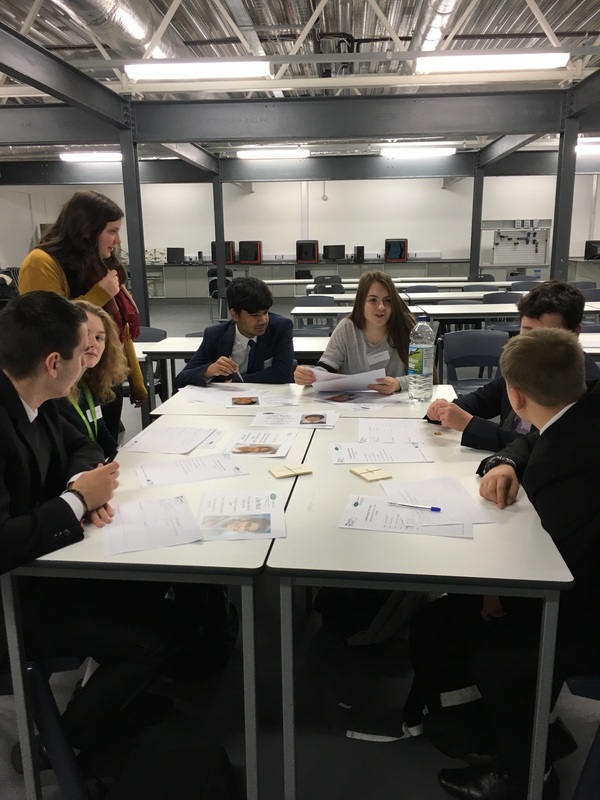 The new half term at UTC Swindon kicked off with the first in a series of 4 Intel soft skills workshops being delivered to Key Stage 5 students. The first workshop focused on social media in business, and students learned how services such as LinkedIn can benefit them as individuals, and how businesses use social media to collaborate, network, and promote products and services. Stuart Walker, Head of Education for Intel said “This type of activity is so valuable for students and we are pleased to be involved with the UTC here in Swindon”. The Duke of York Group Mentoring Programme was launched at UTC Swindon. This pioneering concept will also be offered to students at UTC Reading this academic year. UTC Swindon aims to support each Key Stage 5 student in securing the Duke of York Technical Award to gold standard, and this programme is a key contributor to students’ development. Come along to our next open event for the opportunity to find out more about studying at the UTC. You’ll be given a tour of our fantastic facilities and will have the opportunity to meet staff and industry partners. You can still apply for a place at UTC Swindon in September 2018. For more information, download our 2018-19 prospectus. To apply for a place, complete the Year 10 application form or Year 12 application form on our website. We will be in touch shortly afterwards to confirm the next steps of the application process.